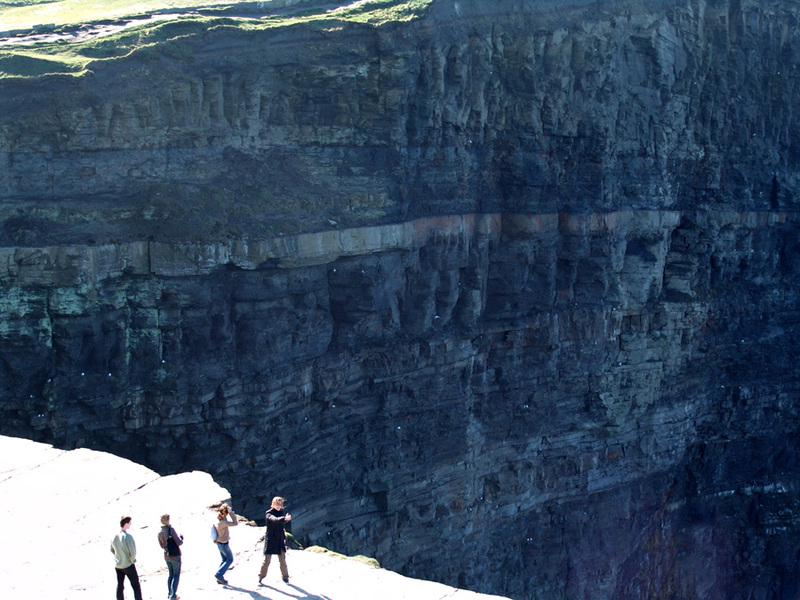 The view from O’Brien’s tower is magnificent, but you are getting a better sense of scale looking up rather than down. 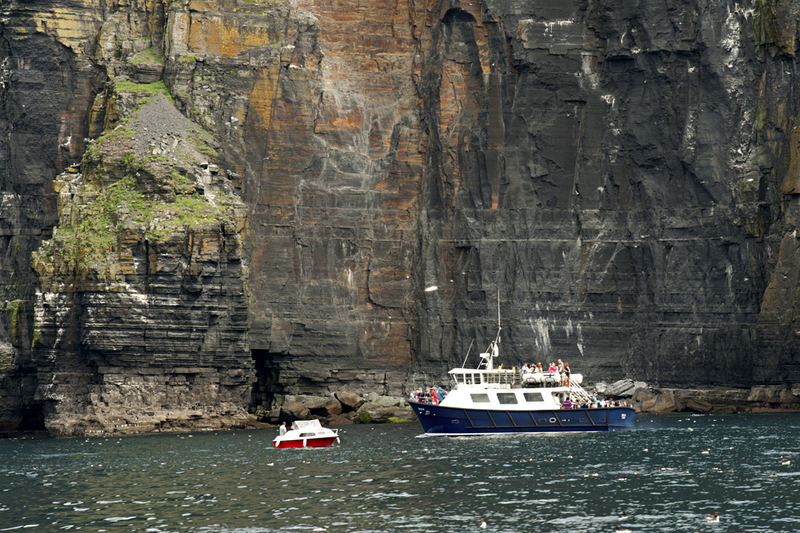 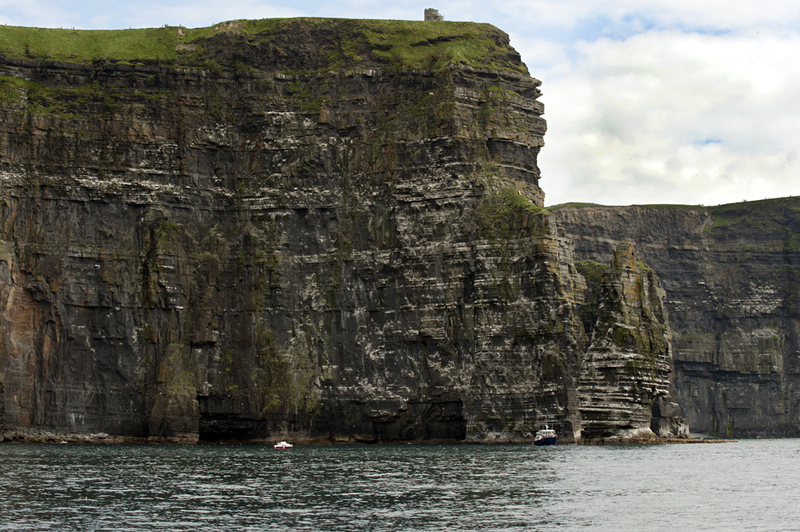 We took a boat trip from Doolin, one hour both ways, to get closer to the Cliffs and to see how high they really are. 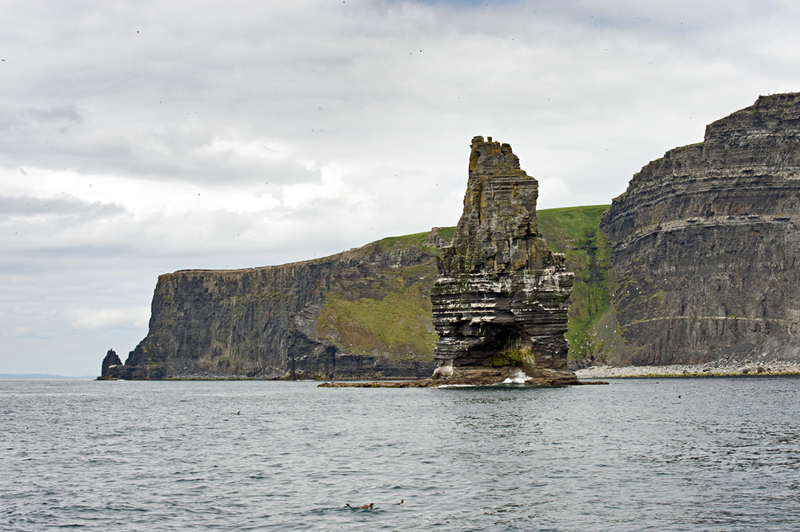 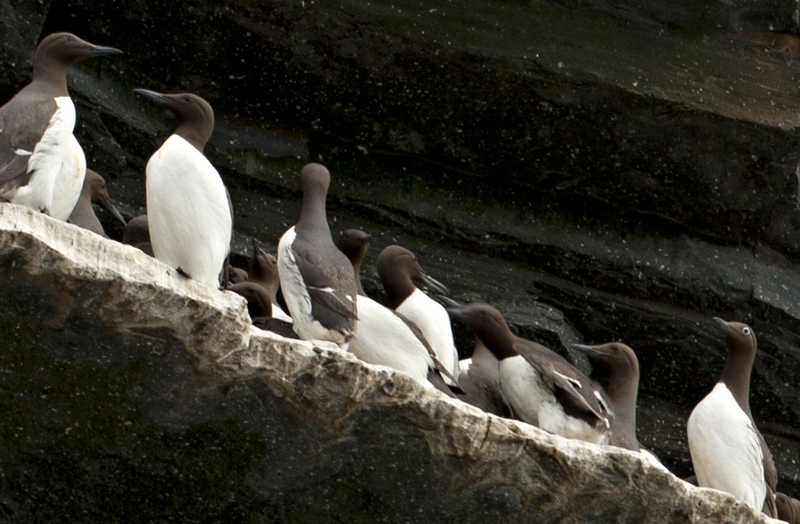 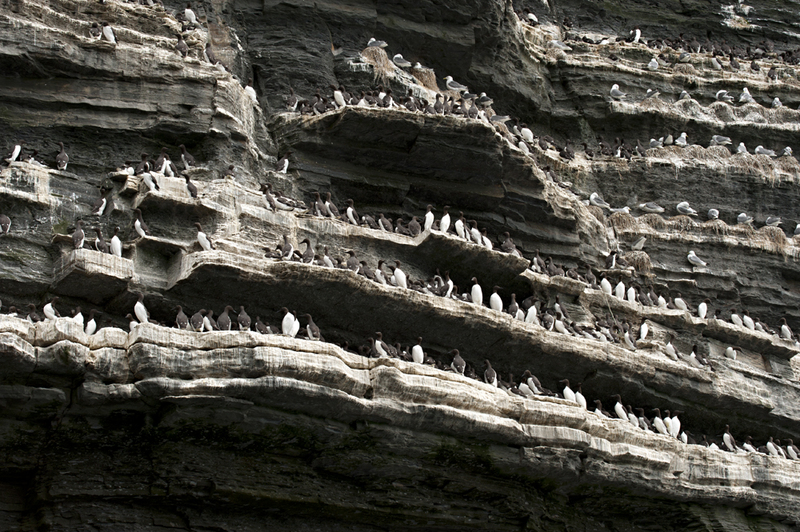 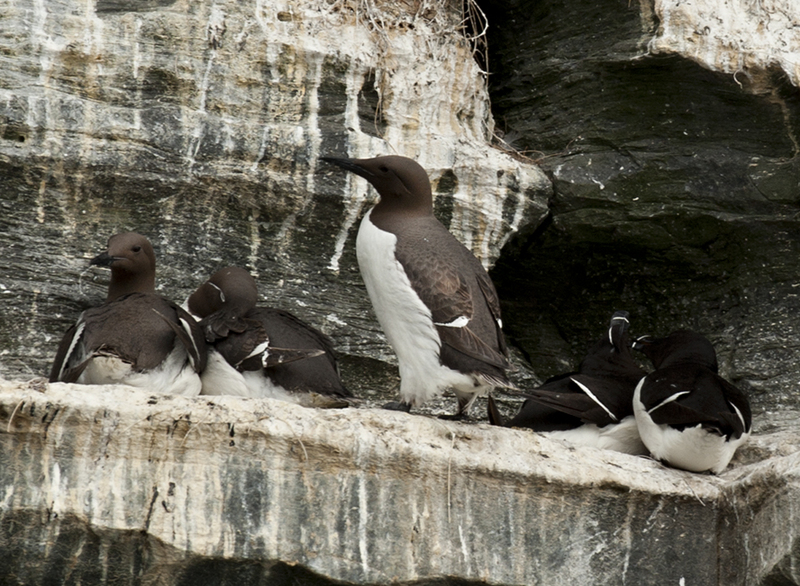 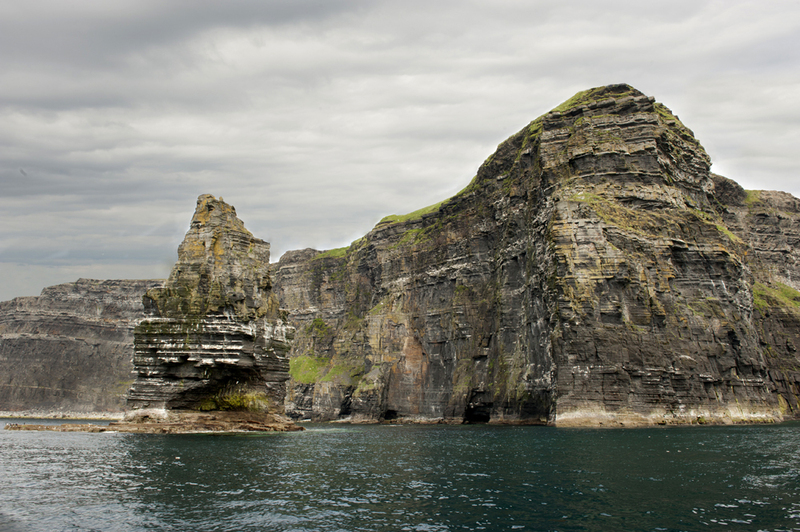 Branaunmore sea stack, a nesting place to a variety of sea birds. 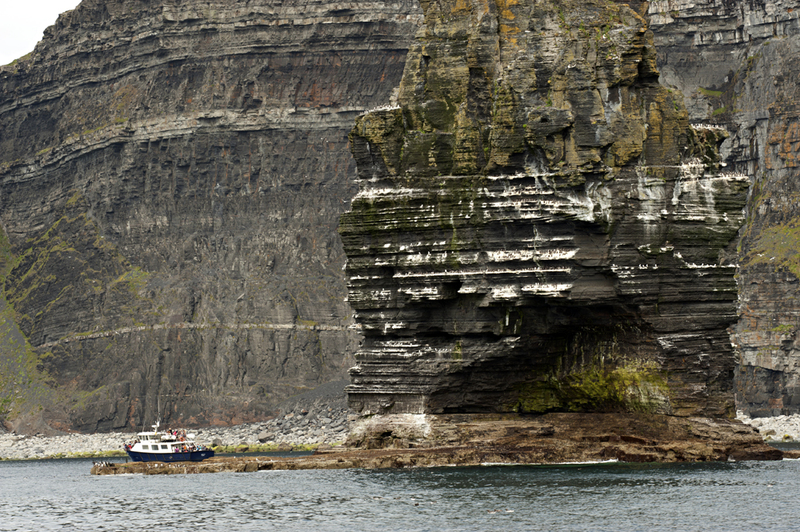 Doolin is a spectacular village worth to visit. 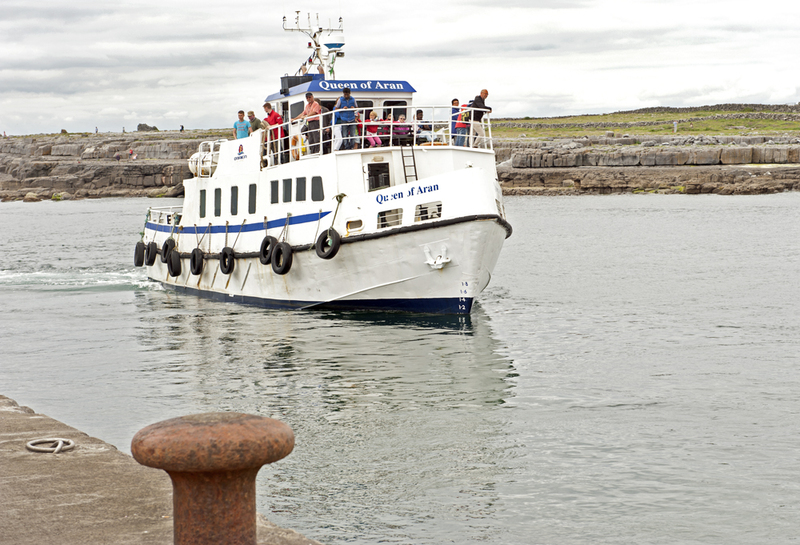 All the travel guides mention Gus O’Connor’s Pub, and it is a great and very atmospheric place well known for its traditional Irish music sessions (they say that Doolin is a capital of traditional music). 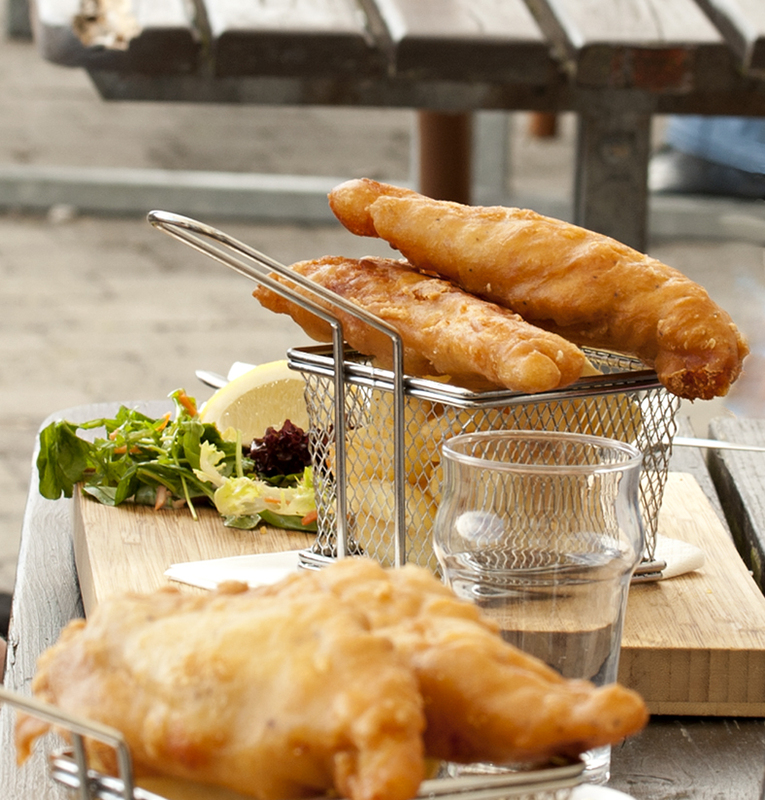 If you only want to get some today’s catch fish and some chips and a quiet place to enjoy your lunch, go to Fitz’s Bar: it is as good as O’Connors, and their food is excellent! 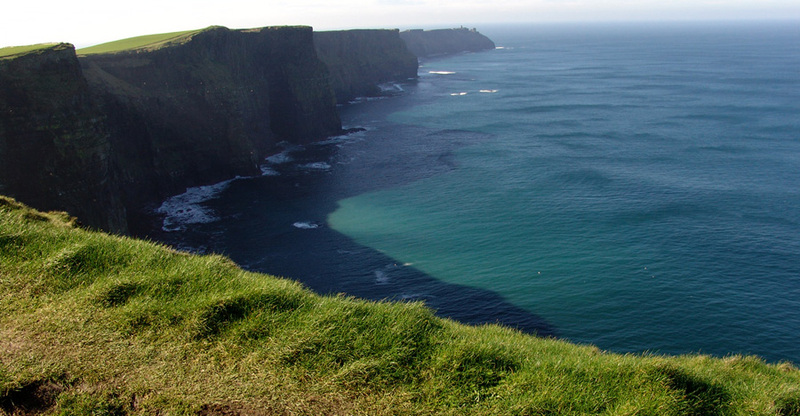 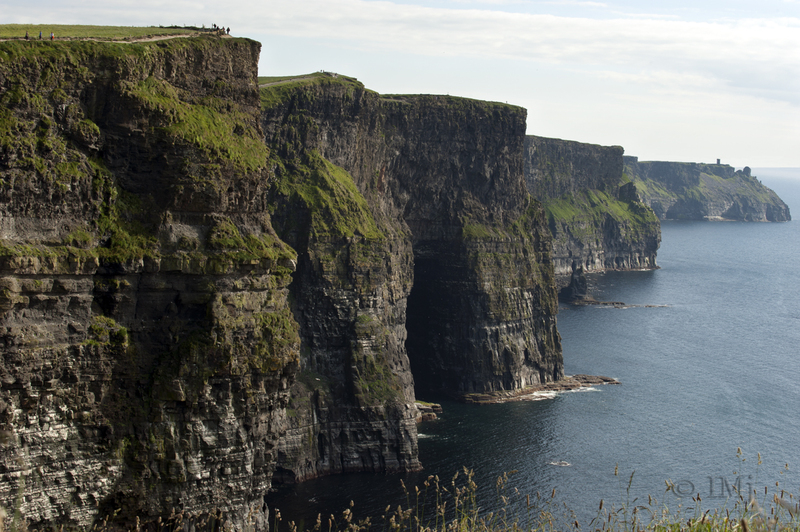 The Cliffs of Moher are 300 million years old, but they don’t look the same now as they did then. 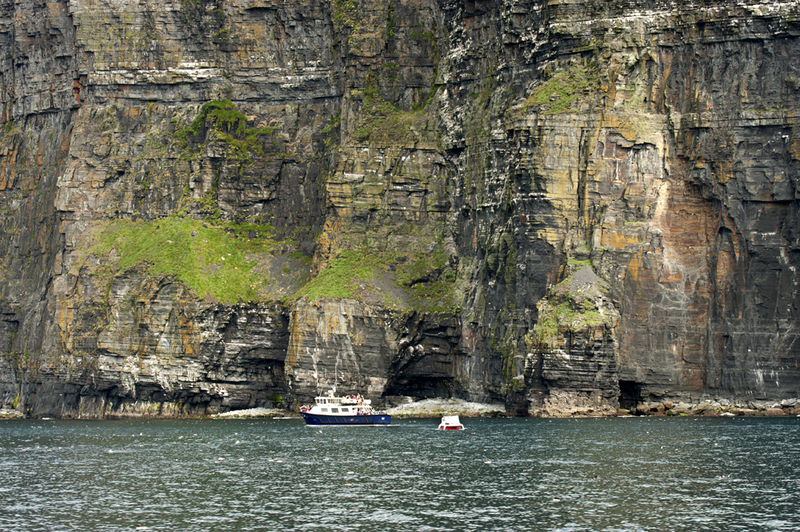 Coastal erosion undermines the base of the bluffs causing the upper parts of the cliff to collapse. 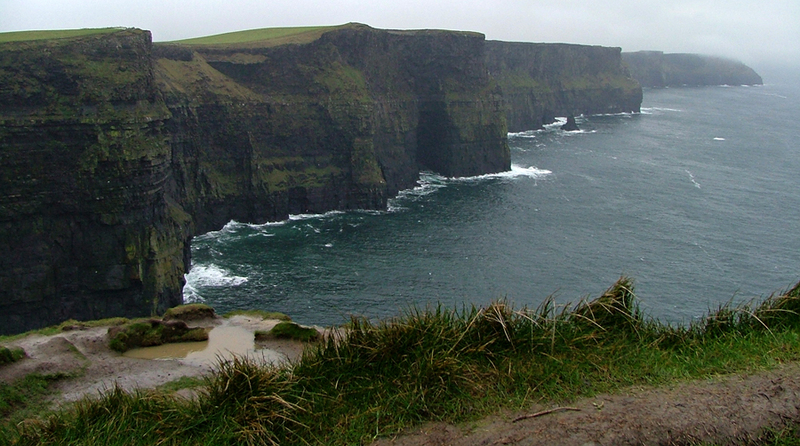 In fact, people walking on the top of the Cliffs are risking their lives without realizing it. 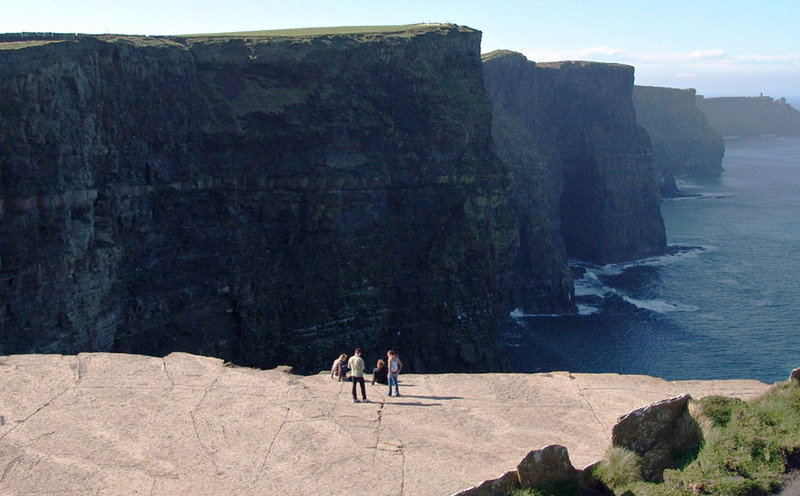 They can slip, they can get blown off by wind and they can go down with a collapsing piece of path, at any time. 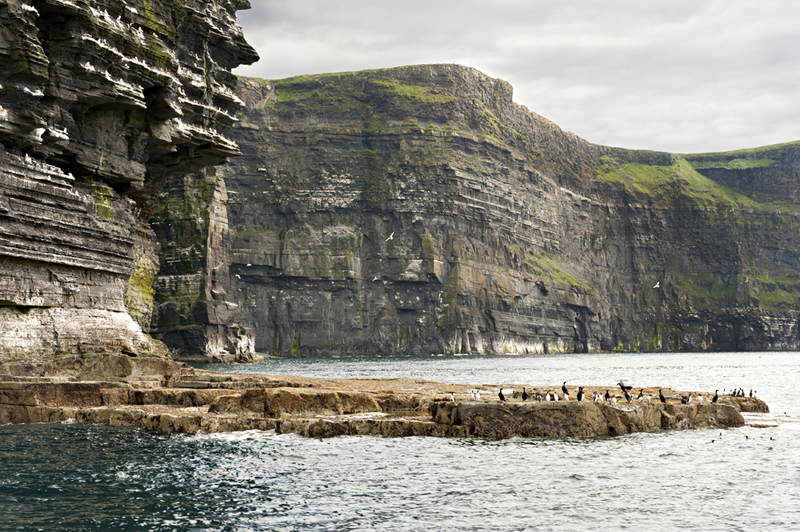 To stay safe, we have to be respectful to Nature, and never reckless or disruptive. 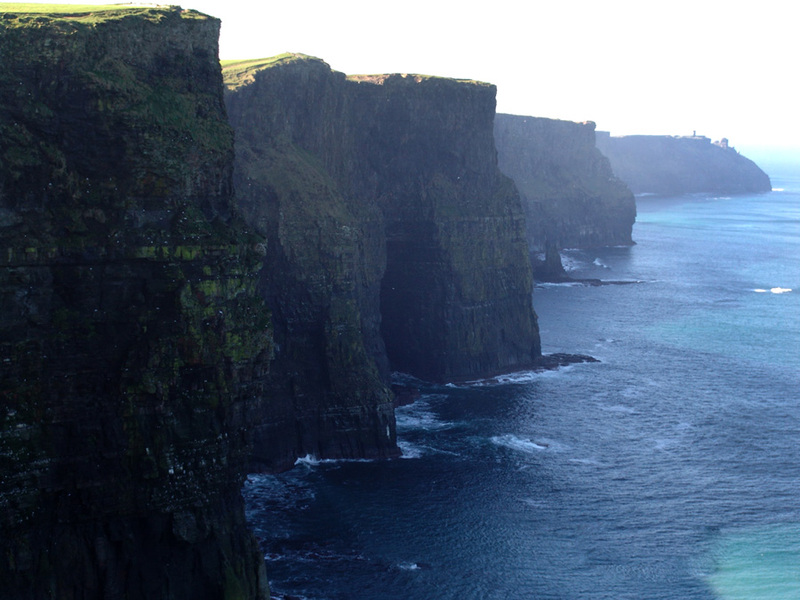 This is the way that balances the world. 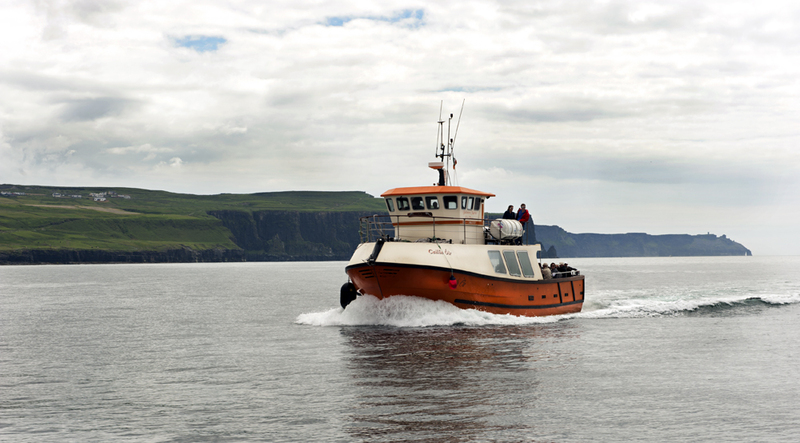 Photography tip of the day: To take pictures from a boat use a very fast shutter speed ( or “sport” setting), stand with your legs spread and your knees slightly bended.